This Goldendoodle nicknamed Yuri sold and went to a new family. 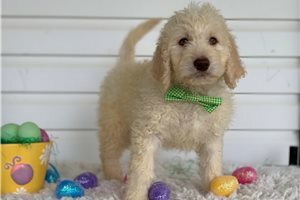 Our F1 English Goldendoodles have arrived! 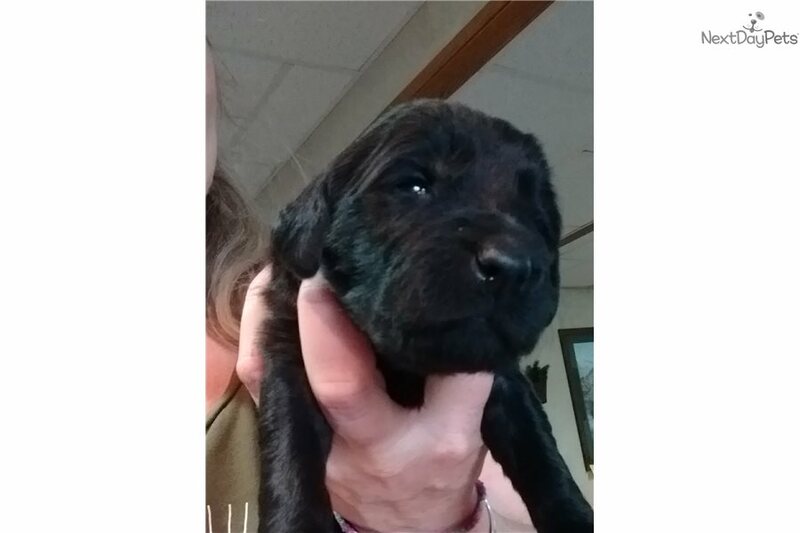 Our black male English Goldendoodle puppy is going to grown to a majestic, smart and awesome companion for your family. Yuri will likely lighten to a silver grey color as he matures and will have a stocky, stout build. 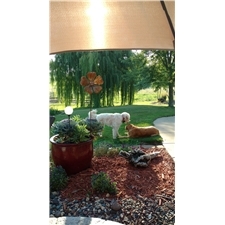 An F1 Doodle will have a longer wavy coat and will likely have little shedding. He has been to the vet, dew claws removed, will be dewormed and fed a grain free diet.